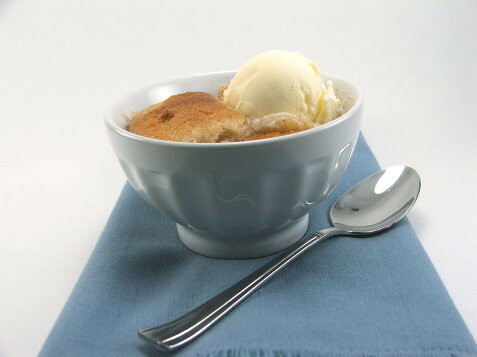 When the weather turns from warm to hot, and the scents of grilling fill the air, my thoughts turn to cobbler. 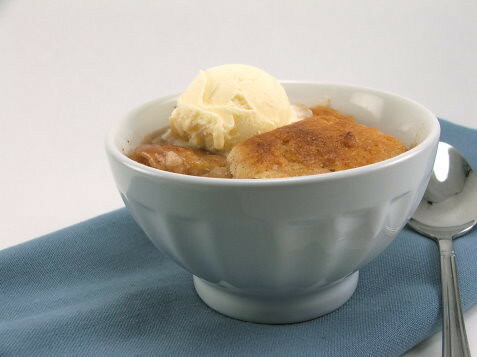 I would like to take moment to clear up a misconception about cobbler. It is not just fruit with a layer of pastry crust on top. That is NOT a cobbler. That is pie. 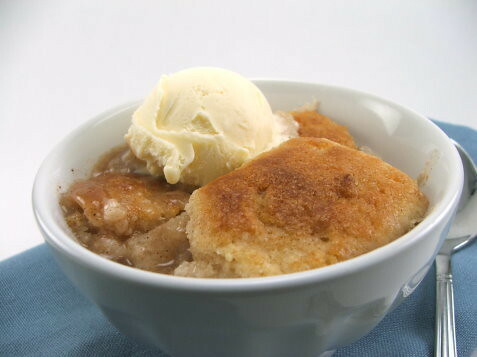 No my friends, cobbler is topped with a fluffy biscuit topping which gives the dessert the look of a cobbled road. 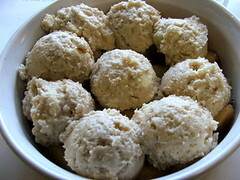 The topping is buttery, crisp on the outside and fluffy inside. At this time of year, and at most times of the year, my filling of choice is peaches. 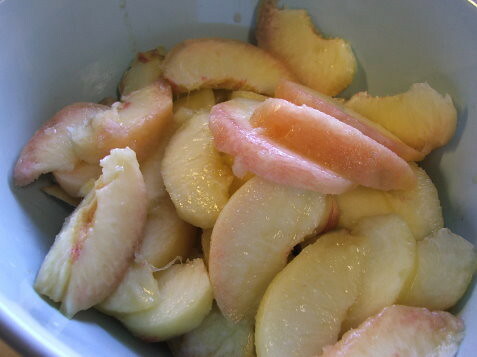 Fresh peaches are perfect for cobblers. 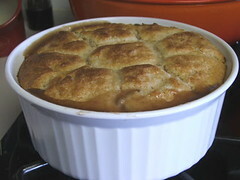 They hold up well to cooking, they provide a contrast in texture to the fluffy biscuits, and they have enough juice to make the cobbler filling luscious. You could use other fruits if you like, but you may need to adjust the thickener depending on the kind of fruit you choose. Top this with some vanilla ice cream and dive in! 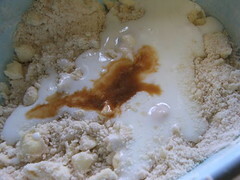 Heat the oven to 400F and prepare a 1.5 quart round or oval dish with non-stick spray. 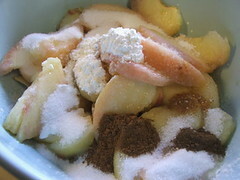 In a medium bowl combine the peaches, sugar, cornstarch, cinnamon, and mace. Make sure all the fruit is coated. Pour into the prepared dish. 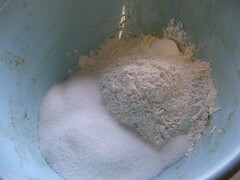 Using the same bowl you mixed the fruit in, combine the flour, baking powder, salt, sugar, and cinnamon. Add the cold butter and, using your fingers, rub it in until it is the size of peas. 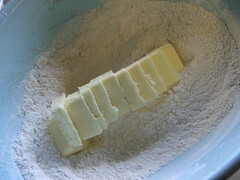 Pour the buttermilk and vanilla in and, using a spatula, stir until it is just combined. Do not over-mix. 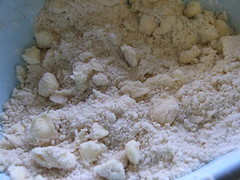 Using a disher, or two spoons, scoop the dough into the fruit. 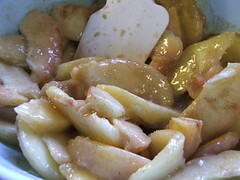 Bake for 45 to 55 minutes, or until the top is golden brown and the fruit is bubbling thickly around the edges. 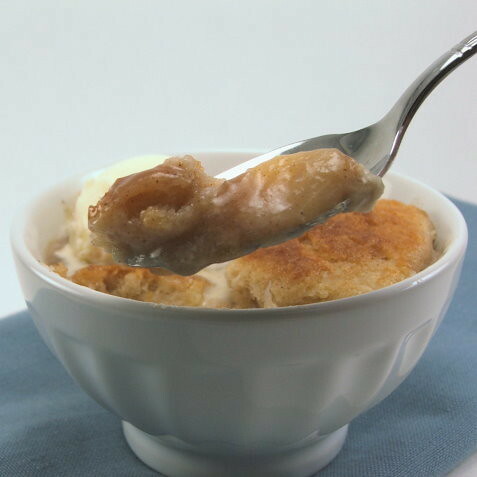 Allow the cobbler to stand at least thirty minutes before serving. © 2009 – 2017, Evil Shenanigans. All rights reserved.